Why do so many insurance companies choose to do business through the rearview mirror? Eyesight might be called for. Recently a vehicle came to us for a severe hail damage repair claim. The car was so damaged, that our guest had already replaced the front windshield and the back glass in order to make it drivable. The insurance company wrote for aftermarket glass in both cases, and that is how it came to us for our initial repair estimate. The guest was given a repair start date, and prior to them returning with the car, was involved in a front-end collision, requiring a second estimate from us. None of this is out of the ordinary in our industry. Many insurance companies write for aftermarket replacement parts… and unfortunately, accidents happen at the most inconvenient times. 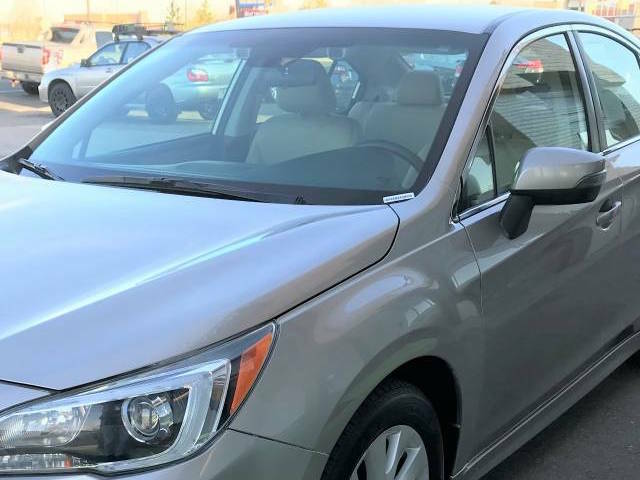 What makes this case ‘interesting’ is the fact that the car in question is a 2016 Subaru Legacy Limited, equipped with EyeSight® Driver Assist Technology. And the question that we would like to ask is this: If the insurance company, having the very same access to Subaru’s OEM repair procedures as we do, knowingly wrote for glass that is not approved by the manufacturer and/or ignored the necessary repair procedures called for, are they culpable – at least in part – for an accident that might have been prevented? It is well-documented that many insurance companies will write for aftermarket parts in order to save themselves money, regardless of the lack of documented safety testing that is only provided by the original manufacturers. We have always felt that this practice is grossly negligent, and exposes those companies for the profit-only driven entities that they are. It is also well-documented that in such cases, the safety of the insured has always fallen below the priority of the company bottom line. Equally well documented – in the public domain, no less – is Subaru’s position statement that specifically addresses the use of aftermarket windshield glass for Subaru vehicles equipped with EyeSight®. It reads, “Subaru of America, Inc., May 2017 – The original equipment parts used to build Subaru vehicles are specifically engineered to provide maximum safety, optimal fit and functionality to help maintain the high standard of vehicle structural integrity. So, in the case of this particular vehicle, where aftermarket glass was installed – even though Subaru strongly advises against such procedures… and the vehicle gets into a front-end collision that the properly calibrated EyeSight Driver Assist Technology is supposed to prevent… are the companies involved in the ignorance of proper procedures liable in part for a potentially preventable accident? It is our opinion that if I-CAR acknowledges Subaru’s proper repair procedures, the insurance companies that recognize I-CAR’s authority in the educational space of proper repairs should heed all of the documentation and write for the proper repair – which obviously calls for OEM glass AND the recalibration of the vehicle’s EyeSight® cameras. Again we ask the question: If such procedures are actively ignored… are those who do the ignoring responsible – in part, or altogether – should a technology-preventable accident occur as a result of their negligence? We believe that the answer is a resounding YES! We’d love to hear your thoughts on this matter.